The A1 comes in an anodized aluminum chassis, which is both good looking and built tough. 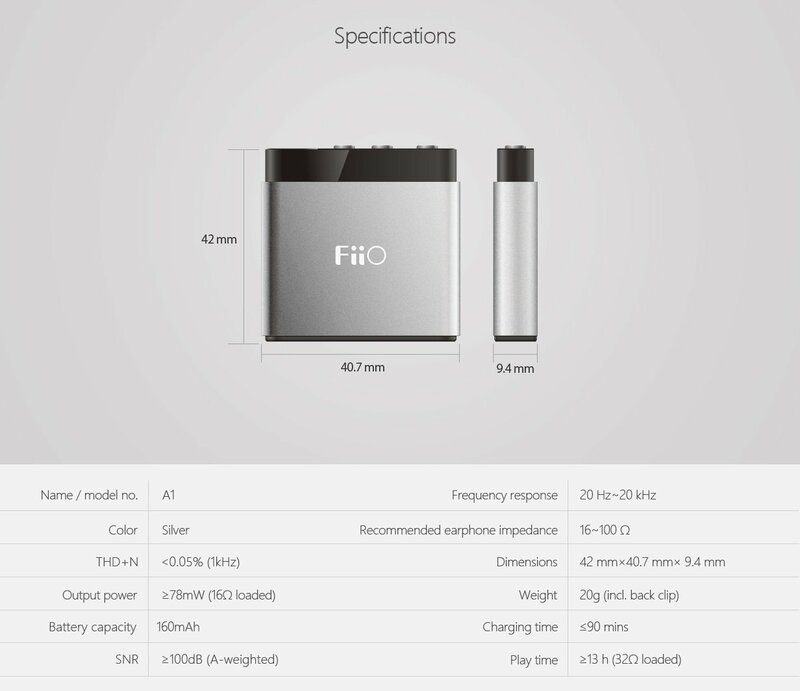 It has to be built this way, as FiiO knows that the A1 is going to take a beating. It is a device that will be constantly on the go. The aluminum helps to keep the internals protected from eventual drops and bangs. Buttons are easy to memorise and have a premium feel to each click. The FiiO A1 is well paired with devices needing a little more power for some more sensitive and power hungry products. 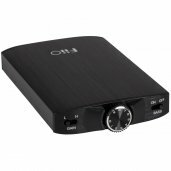 With the 3.5mm input/output, setup is quick and easy with no issues with compatibility or installed software to worry about no matter if you are using a computer, tablet, phone or any other device you are playing your audio from. Volume is controlled easily with separated [+] [-] inputs with 64 levels for use. The FiiO A1 also has the added ability to change the bass response with three bass boost options. 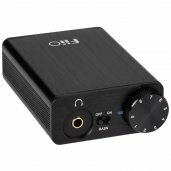 The FiiO A1 is a great amp for anyone looking to take that first step to upgrade earphones/headphones that may need a little more power. 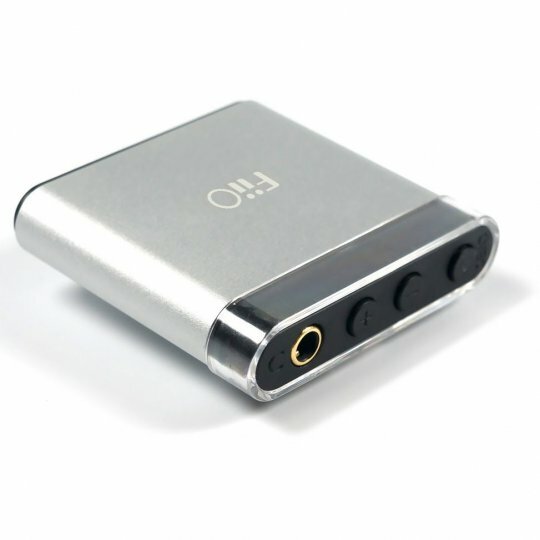 It is also a wonderful introduction to FiiO products for those new to the higher quality audio world. 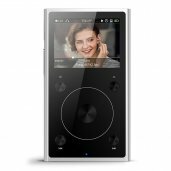 The Fiio A1 is compact and simple, with a basic but functional design. It's small enough to fit in your palm, and has only the required buttons and ports. The casing of the amplifier is entirely metal, with a dull silver finish.There is a clear removable plastic strip along the top which can be replaced with one of the included belt-clip strips if you intend to keep the device clipped. There are three buttons on the top: one to control power and the equalizer setting, and two to adjust volume. Also on the top is the 3.5mm output for your headphones. The bottom has a port and a 3.5mm input, and you can use either of the two included auxiliary wires to connect the A1 to your source device. Also in the box is a standard USB Type-A to Micro-USB cable for charging. The listed 3.65dB gain can really be felt in use. When the 'Bass 0' equaliser preset is used, it seems there's practically no change in the sonic signature whatsoever, just simply adding volume and improved sonic separation, imaging and clarity. 'Bass 1' boosts the sub-bass and mid-bass frequencies without affecting the top-end, which is an interesting tweak to the sonic signature for quick and exciting tracks. 'Bass 2' boosts sensitivity in the low-end, but forces a drop in the mid-range going up to the highs, while 'Bass 3' causes an equal sensitivity drop through the range.The last 2 settings are not to my taste but will appeal to some. 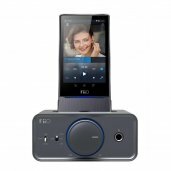 The Fiio A1 is a simple device that does what it claims to do. It complements your headphones and source device by giving them a decent boost in sound, without messing with the sonic signature. You can play with the equalizer settings and tweak the sonics as well, but at its most basic level, this device is about improving volume and sound quality, which it does in a big way. The Fiio A1 represents tremendous value, and has the potential to improve sound quality no matter what kinds of headphones and source devices you use, and battery life is decent as well. All this on a budget. You just can't find equal performance at this price point. Hi there, is it possible to listen music while charging this device? One of the best features of the A1 is its very low charge time and long battery life. The A1 can stay active for up to 13 hours of full use and takes only two hours to fully recharge. While we cannot specifically deny or confirm playback while charging, the A1 draws power from the battery only and not from outside sources.